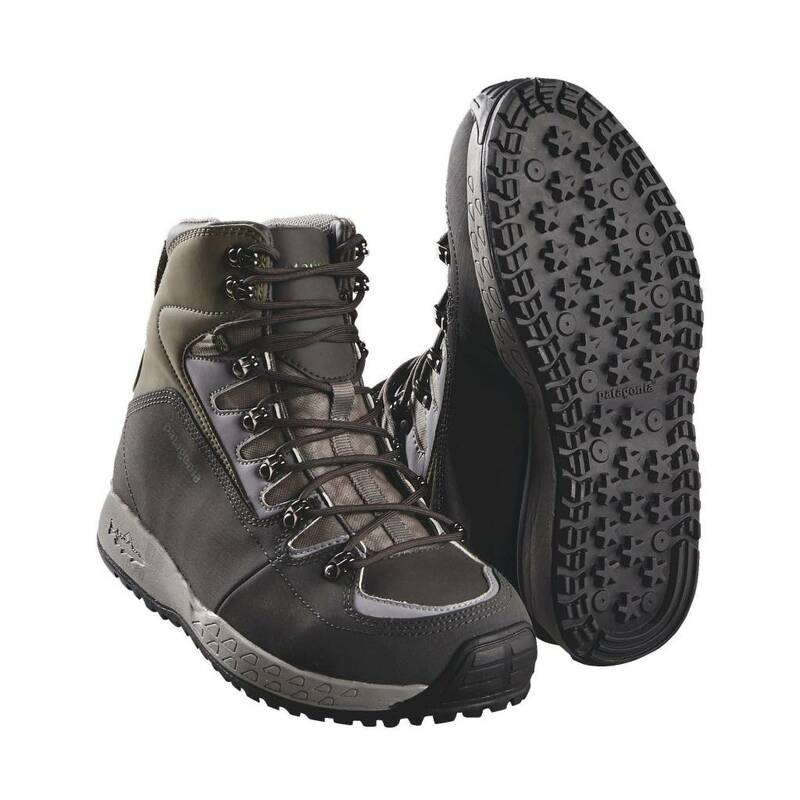 These comfortable sticky rubber wading shoes are extremely light and flexible, while providing stability, durability and foot protection. Boats and trucks can only take you so far; you have to make it the rest of the way to the fish on your own two feet. When the trail gets long, our Ultralight Wading Boots keep a spring in your step all the way there and back. The streamlined synthetic leather upper dries fast, flexes easily and holds up through years of hard use. Durable monofilament mesh drains the footbed while keeping sand and silt out. The external rand, internal support and reinforced toe box protect feet from deep-water pressure and rocky river bottoms. Long-wearing Rock Grip sticky rubber soles hold fin straps, accept studs (sold separately) and can be resoled for extended life.